Seymours Estate Agents – the largest independent estate agent in Surrey – is delighted to have once again picked up the gong for Best Marketing & Presentation at the Surrey Property Awards! Run by the West Surrey Association of Surveyors, Auctioneers and Estate Agents, the Surrey Property Awards recognise best practice in all aspects of the property industry. 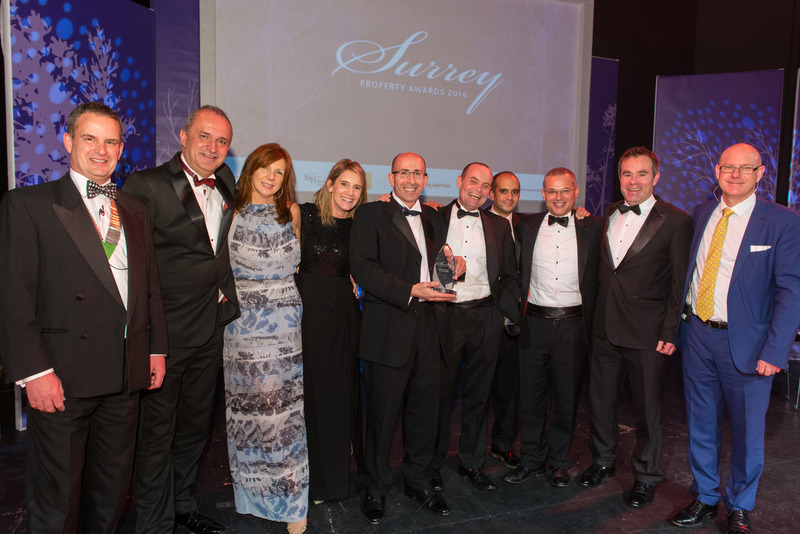 The prestigious Marketing & Presentation award, which was presented to Seymours during a glittering ceremony at Guildford’s GLive, was judged by a panel of senior commercial and marketing managers from the awards’ media partner, the Surrey Advertiser. The judges were looking to find a company that had demonstrated high levels of creativity in its marketing and advertising campaigns and Seymours was up against tough competition from a number of top estate agents across the county. However, the panel was “unanimous” in choosing Seymours as its winner, acknowledging that the company had been extremely focused and inventive in the way it had extended its marketing outreach and communicated with the local community during the past year. Seymours was praised for creating a “great social media campaign, which took a fresh approach to community engagement to tap into a relevant audience”. The Keepy Uppy campaign not only went viral, reaching as far as Africa, but also supported local charity Cherry Trees, with a £2,000 prize donated by Seymours.